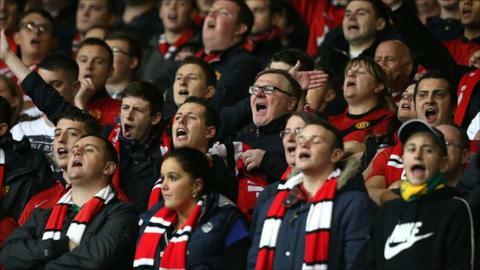 A Kenyan fan unable to cope with Manchester United's loss to Newcastle United committed suicide over the weekend, according to police. John Macharia, 28, plunged to his death from a multi-storey apartment block in the capital, Nairobi. This followed United's 1-0, their second home defeat in four days. Newcastle's first win at Old Trafford since February 1972 means the reigning champions are now 13 points adrift of league leaders Arsenal. "Macharia jumped from seventh floor of an apartment at Pipeline Estate after realising that his team Manchester United lost 1-0 to Newcastle at Old Trafford and committed suicide," said Nairobi's County Police Commander Benson Kibui. Macharia's death is reminiscent of the suicide by a Kenyan Arsenal fan in 2009. Suleiman Omondi, 29, was found hanging in his flat after the Gunners were trounced 3-1 by Manchester United in the second leg of a Champions League semi-final. Kibui urged football-obsessed Kenyan fans to support local teams rather than foreign clubs who do not have a link to the east African nation. "The football fans should enjoy the matches... but they should not commit suicide since life is very precious," Kibui added.